As You Were is going to be available from October. Here's what else we know about the debut album from the former Oasis frontman. Despite the fact the outspoken rocker said he never wanted to be a songwriter, and that he "can't be arsed" to write songs, earlier this year he confirmed he'd be releasing a solo album in October 2017. Liam tweeted that the album, titled As You Were, will be available to pre-order from midnight on Friday 23 June. While everyone is waiting for one of the loudest mouths in rock n' roll to come out with an even louder record, it looks like fans might be in for a shock when it comes to the Manchester man's debut. It's one of his favourite phrases, so there's no surprise that he's chosen it as the title for the first solo effort. According to an official press release, the has a "huge waves of guitar hooks, a melody you can't shake, a thunderous rhythm" and an "unbelievably catchy chorus". In short, it promises to be "apocalyptically good". Here's the artwork for the first single, courtesy of iTunes. Speaking to ES Magazine, the rocker admitted: "It is what it is, mate. I didn't write Live Forever but as soon as I sang it, I made it my own. I class myself as a rock 'n' roll singer who writes the odd tune now and again. And that is it. I'm not going out saying I'm Bob Dylan. "Ideally, you want to do it yourself. But I can't write those f***ing big songs. I'm limited. My verses are up there, but I just can't do that next bit." After describing the incredible moment Liam Gallagher played him rough demos in a helicopter, director Mat Whitecross told NME his new material was "epic," "raw" and "fantastic". The 39-year-old film maker added: “It just blew me away. I think everyone’s in for a treat." However, he was travelling to Manchester's Supersonic premiere by helicopter with Liam Gallagher himself, so no wonder it was "epic". 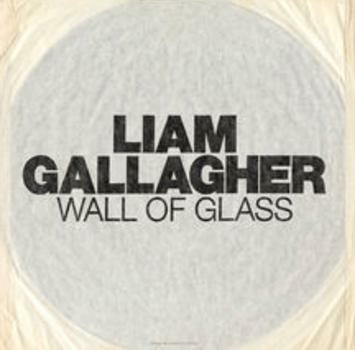 Despite the fact Oasis and Liam Gallagher are known for producing some of the biggest belters in the history of British music, Liam has teased his upcoming release has a far softer sound. Speaking to Daily Star magazine earlier this week he revealed, "It’s a pretty Working Class Hero kinda thing". Interesting. So no big fireworks then? On top of him thinking it was epic, Mat Whitecross also told NME that the album "reminded (him) of The Velvet Underground". Nice. Considering the fact Liam Gallagher is one of John Lennon's biggest fans, it's not surprising that a his solo record has some trace of the Beatles star. Speaking to the Daily Star, the rocker divulged: “It’s a pretty Working Class Hero kinda thing – Lennony vibe, you know what I mean. It’s like acoustic." When straight talker Liam Gallagher first made the announcement that he was going solo, he told Q magazine his record wouldn't leave you "scratching your chin". He added: "It’s not Pink Floyd and it ain’t Radiohead. It’s chin-out music."